Gina Haspel’s confirmation hearing to become the next Director of the CIA is just two weeks away. Her nomination—since it was announced in February—has drawn concern from Democrats and Republicans alike over her role in the Bush Administration’s torture program. Ms. Haspel was the chief of base of a CIA “black site” in Thailand where detainees were tortured in 2002. Reports also show that she was intimately involved in the destruction of evidence and tapes of the torture that she oversaw. 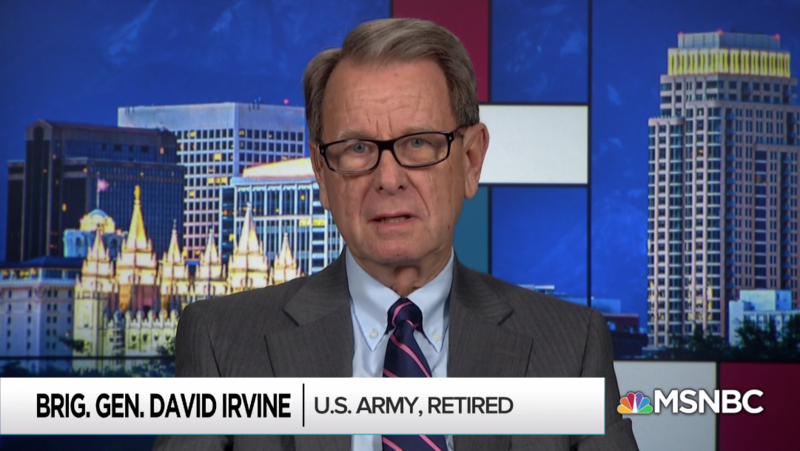 Brigadier General David Irvine, U.S. Army, retired, spoke with Rachel Maddow on MSNBC’s The Maddow Showabout the letter’s objections to Gina Haspel and the damage that her appointment would do to the moral leadership that the United States needs to exercise around the world. Appointing Gina Haspel to the helm of the intelligence community would send a message to Americans and people across the world that torture, ignoring the law, ignoring morality, and covering up evidence is something to be rewarded. That cannot, and should not, be the case.